In Up From Zero, Paul Goldberger tells the inside story of the quest to rebuild one of the most important symbolic sites in the world, the sixteen acres where the towers of the World Trade Center stood. A tale of power, politics, architecture, community and culture, Up From Zero takes us inside the controversial struggle to create and build one of the most challenging urban design projects in history. Shortly after September 11, 2001, titanic egos took sides and made demands, with different ideas and strong emotions all around. With unique access to the players and the process, and with a sophisticated understanding of architecture and its impact on people and on the social and cultural life of a city, Paul Goldberger chronicles the courage, the sacrifices, and the burning passions at the heart of one of the greatest—if most troubled—efforts at urban revitalization in modern times. 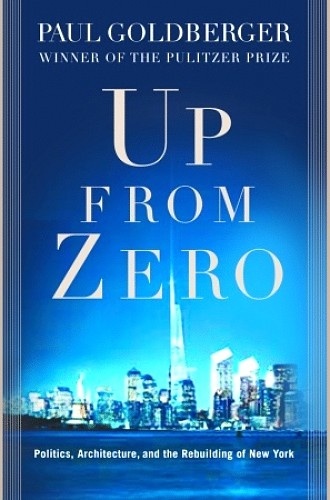 Up From Zero was named a New York Times Notable Book of 2004. The paperback edition, published in 2005, contains an additional section carrying the story forward. Click here to return to the bookshelf.